I’m not really into the whole disaster type films, save for a few that have sparked my interest throughout the years. Most of the time, it’s usually how the destruction is caused – rather than an actual film, it’s a messy array of explosion, deaths and fire. 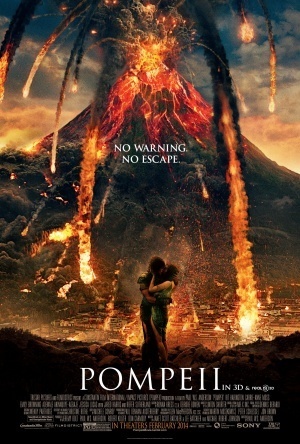 And although Pompeii falls into the category of “failed” disaster films, it’s not the fault of the disaster itself; but rather the fault of its lacklustre script and the almost non-existent plot. Funnily enough, I saw this film as part of a school excursion for my Ancient history topic. We were all expecting big things – expecting a story that centred on the actual disaster of Mt Vesuvius. Instead, we were served a bland poor-boy-meets-rich-girl story that had was filled with gladiatorial film troupes. Admittedly, the film did begin with promise yet it all quickly fell apart, revealing the dry and uninteresting love story beneath. The film centres on Milo (Kit Harrington), the last of a Celtic Horse Tribe and an enslaved gladiator who has recently arrived in the great city of Pompeii due to his excellent fighting skills. He catches the interest of Cassia (Emily Browning) who is in turn desired by Senator Corvus (Kiefer Sutherland), the man also responsible for his tribe’s death when Milo was a child. Now with the city crumbling around him, he and others must find a way to survive and escape the oncoming disaster caused by the eruption of Mt Vesuvius. I was really surprised by how flat and mono-dimensional the characters and story seemed. It got to the point that rather than taking interest in the main characters, I soon found myself rooting for minor characters (My favourite character being Cassia’s handmaiden). I think it’s been proven time and time again that story telling isn’t Anderson’s forte – films like Resident Evil, Aliens Vs Predator, and Death Race are all heavily action based and, if anything, their action sequences give the films enough credibility to be called films. In saying that, Anderson’s portrayal of the actual eruption, and all the repercussions of the initial blast, is an archaeologist’s and historian’s dream. Referring back to my textbooks (and the all important internet), not only is the eruption entertaining and engaging – it’s also surprisingly realistic and accurate. Also deserving of praise are the few gladiatorial fights that are littered in section of the film, which is a godsend considering the true destruction of Pompeii – and I’m not talking about the explosion mind you. True to it’s historical awareness, Pompeii is a giant disaster. While I do love Game of Thrones, I have to say, It’s not exactly Harington’s best work (Keep it up though Jon Snow! ), and so I expect a lot more from him in the future. Although it would otherwise get a zero for its rating, the film’s visual effects are solid and extraordinary, and I’m sure many studying effects for film production would benefit from Mt Vesuvius’s destruction. 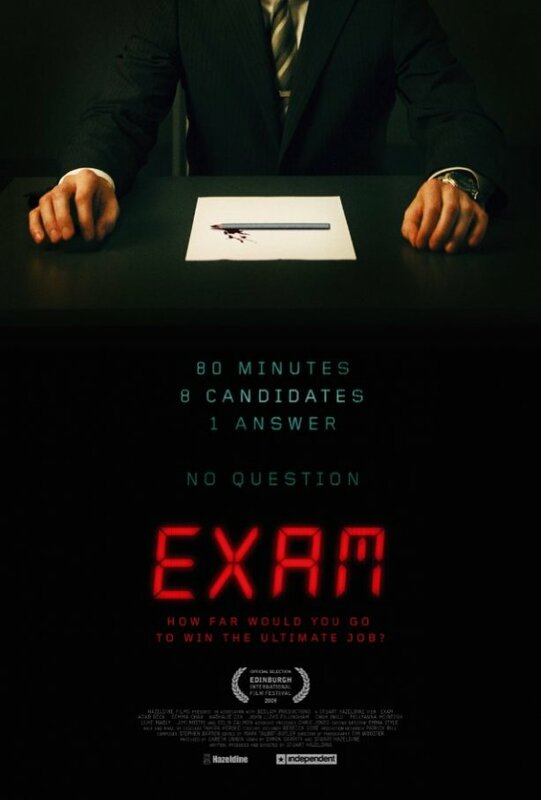 If you are not however, such a student, I suggest you keep your distance from this disaster flick. With the upcoming international release of Drakengard 3, I wanted to review the equally emotionally-confusing spin-off game of the Drakengard series, Nier. While Cavia (rest in peace) has been known for their strange and often complex games, Nier stands to be yet another quirky entry to their list. Sporting two different versions, wherein the titular protagonist is a teenage brother and a middle aged father in Replicant and Gestalt respectively, the game provides players with an intricate, if not captivating story. Set on Earth in a distant future, Nier’s almost unrecognisable world is the product of the fifth hidden ending of Drankengard. Nier, whose sister/daughter Yonah is stricken with the “Black Scrawl”, dreams of finding a cure for her illness. Upon teaming up with the magical tome Grimoire Weiss, the foulmouthed Kainè and the ever mellow Emil during his search, Yonah is inexplicably kidnapped by the Shadowlord – the master of the enemies known only as Shades. 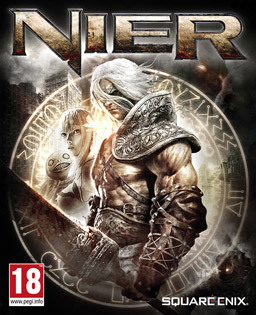 With an army of these enemies in his path, Nier and his team must travel ruined landscapes and the remnants of lost civilisations to find the missing Yonah. Nier is definitely one of the most interesting games I’ve ever played. 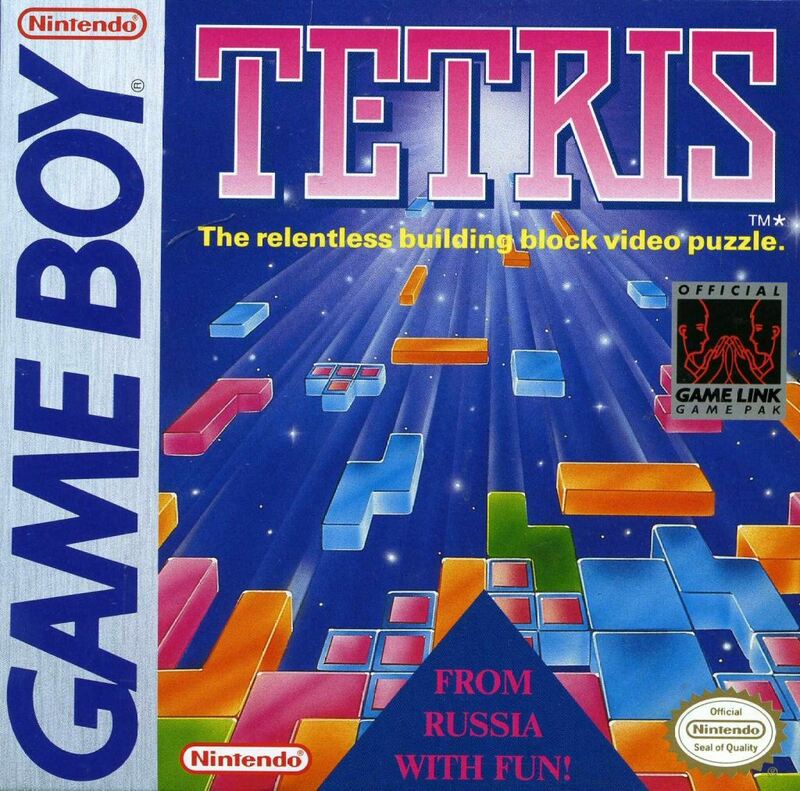 Completely finishing the game is no easy task, and players will often find that the game is considerably more frustrating than it needs to be. This is most evident in the arduous task of finding materials for weapon upgrades, which sounds easy. But if you’ve ever played a Cavia game, you’d understand that the most simple task can take hours. Another interesting point is that completely finishing the game… also completely erases it. Upon taking the fourth ending route, the player’s save file is completely erased, along with other copies on the HDD (You have been warned). The game itself has also has a heap of extra missions to complete, so expect Nier to take quite awhile. It’s primarily an action, hack and slash game that possesses role playing elements. It also, interestingly, has a variety of other game types interjected in sections of the story, such as platform, shooter and even text adventure. There are three weapon types (spears, one-handed swords and two-handed swords) that can be used and magic is also available, creating a solid, but average, combat experience. Both can have “words” attached to them, which augment and strengthen the power or abilities of equips. Defeating enemies results in gathering loot, words and experience, all of which are extremely useful towards the second half of the game. Nier also gains companions on his journey (typical of the JRPG genre) and attack on their own with competent attacks. Finally, finishing the game one opens of the New Game+ option, which allows players to experience the story again, but with twists and bigger revelations to the events of the story. While Nier’s story is entertaining and sometimes actually touching, the graphics of the game weigh it down. While I praised the graphics of Bayonetta, I must say – Nier’s visuals are remarkably disappointing. It seems as though they would be rather suited to the graphic capabilities of the PS2. It does, though, have a few pleasant instances; such as the Resident Evil style graphics in Emil’s manor and the distant towers on the horizon of the port town in the game. Although the visuals of the game are about as mediocre as they can be, I cannot express just how much the soundtrack adds to the overall value of the game. I wrote about it before here, but briefly, it is beyond belief just how amazing the game’s music compels the audience to actually feel and pay attention. If Nier was ever to be completely forgotten, I guarantee its OST would remain. Even though Nier doesn’t shape up to be one of the better entries to the JRPG genre (or any genre for that matter), it’s overall cohesiveness, story and soundtrack make it a worthwhile experience to enjoy. It is no way Nier (heh) the quality of other games released around the same time, but its effort in creating an emotional and captivating story redeems it (at least for me) from the more… displeasing aspects of the game. If you’d rather play a game more fixed on its story and appreciate a good soundtrack, give Nier a go – and just experience the mind-blowing story it has to offer. Recommended? Definitely, for a compelling, and addictive story. 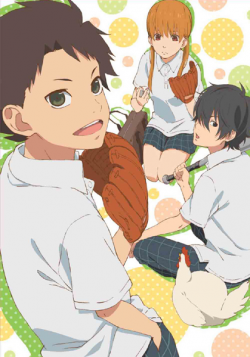 Although I had planned a review of another album today, I had listened to the soundtrack of the romantic comedy anime Tonari no Kaibutsu-Kun (Eng; My Little Monster) and I just had to talk about it. Now I watched the anime as it came out, and while it’s not one of my all time favourites, it certainly had a very strong and solid comedy element which I more than appreciated. It also, to my surprise, had an amazing musical score. Certain tracks feature synthetic melodies while others are comprised of mainly orchestral symphonies. To call it diverse would not give it much justice. It seems that the soundtrack itself covers the emotional spectrum – the album seems to tick off emotions; from melancholy to unbridled optimism. If anything, theres a track for any occasion, making it perfect for the anime – as although its primarily a comedy-romance, it does touch on the darker and somber aspects of life and love. I find that the tracks consisting of guitar and/or piano leads were more defined and better suited to the overall theme of the show. Although it may be preference talking, I believe that they were considerably much more emotive and at a higher level than other tracks that focused their sounds on other instruments. Another worthy mention goes to the highly enjoyable tracks with a peppy, almost cocky tone, as well as those that were comprised of positive notes and rhythms. In saying that though, the more pensive tracks don’t, by any means, fail to please. At the end of the day, the Tonari no Kaibutsu-Kun Original Soundtrack is an absolute delight to listen to. With a range of sounds and emotions to accommodate the daily lives of anyone, it came as a wonder to me that it’s not better known within the anime community. If you’re willing to take the chance and take a listen, I have very little doubt in my mind that you would be disappointed with this underrated gem of an OST.